On behalf of the RITA Tournament Committee attached please find information pack & application form for the forthcoming Irish Open to be held on Saturday 18th November. Summer Training weekend: We are holding a training weekend on Saturday and Sunday 12th/13th August 2017. This year’s topics will be 'Patterns', 'Sparring', Self-Defence' and 'Power Breaking', and will be conducted by Master Robert Howard (8th Degree) , Master Mark O’Donnell (7th Degree), and Mr Leon McSherry (5th Degree). Master Howard and Master O’Donnell have decades of experience instructing Taekwon-Do and umpiring at European and World Championships. Mr McSherry is 2016 European Champion in 5th degree patterns, and 2017 vice-champion. Between them they will help you identify what you need to do to excel at the art. What to bring: Dobok, water bottle, packed lunch, sparing pads (can be supplied if necessary). Places are limited so book early and don’t miss out. 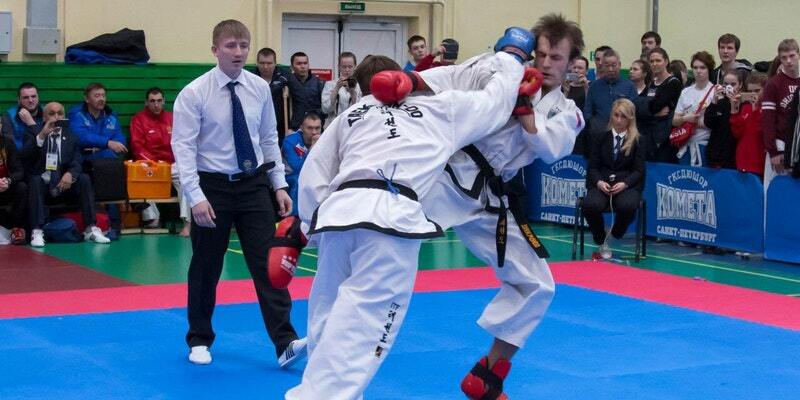 We are delighted to announce that we are hosting another Sparring seminar with Mr Konstantin Yurikov of Russia. This two day seminar with the multiple European and World championship gold medallist in on Saturday 30th September and Sunday 1st October. Saturday is in our training hall at the Cabra Parkside Sports Centre, Ratoath Rd, Dublin 7. While the Sunday session is in St Joseph’s School Hall, Navan Rd, Dublin 7. Tickets only available on-line at https://www.eventbrite.com/e/konstantin-yurikov-sparring-camp-september-2017-tickets-36929170142. The final event in your child’s Taekwon-Do development programme for the year is their grading (exam) for their stripe or new belt. The grading’s will be held during your child’s normal class time apart from the Dragons which will take place on a Friday evening. The grading times are arranged according to their class group and are shown below. There will be no classes during these times. If this is your child’s first grading can you please give Master Howard two passport size photographs (name on the back) and the grading fee of €25 by Saturday the 3rd of June? If your child has graded before can you please give Master Howard their licence (green grading book) and the grading fee of €25 by Saturday the 3rd of June? I have given your child a sheet with everything they need to know for the exam. They will need to be able to perform the physical aspects of the test and know all their Korean words, goals and the code. Please help them to do a little bit of practice every evening. Finally, classes will continue until Friday 23rd June. Please contact me if you have any questions.